When it comes to hats, every part has a purpose. Whether it's to provide shade, offer comfort, or simply look good, the different parts of a hat contribute to the overall experience. But before you decide which kind of hat best suits the form and function you are seeking, it’s helpful to know the various pieces that comprise the structure of the hat and the terms used to describe each part. 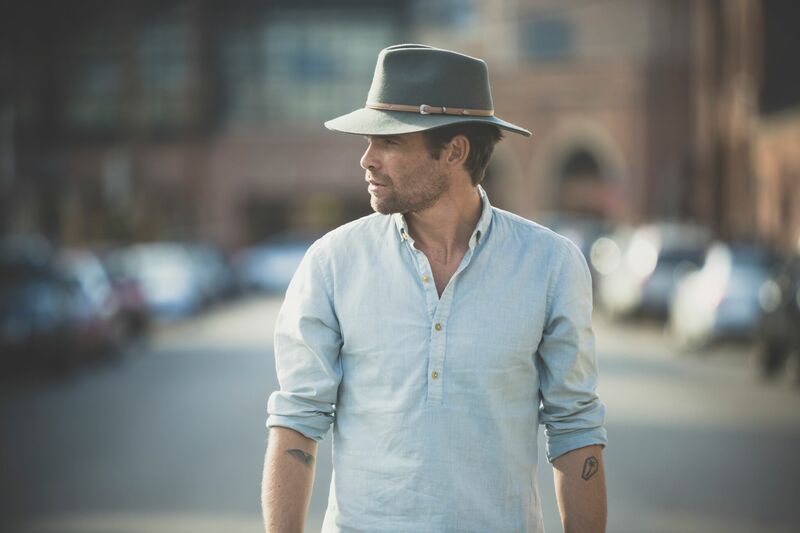 This can help you distinguish between similar hats, like the trilby and fedora, to determine which hat is best for your needs. Let our guide take out the guesswork and break down the anatomy of a hat along with helpful tips on the different types of hat crowns and various hat fabrics you can choose from. Crown: The top portion of the hat; the area above the brim that sits on your head. Tip: The uppermost peak of the crown. Pinch/Dent: Also called the crease, this refers to the indentations made along the front, back, and sides of the crown. 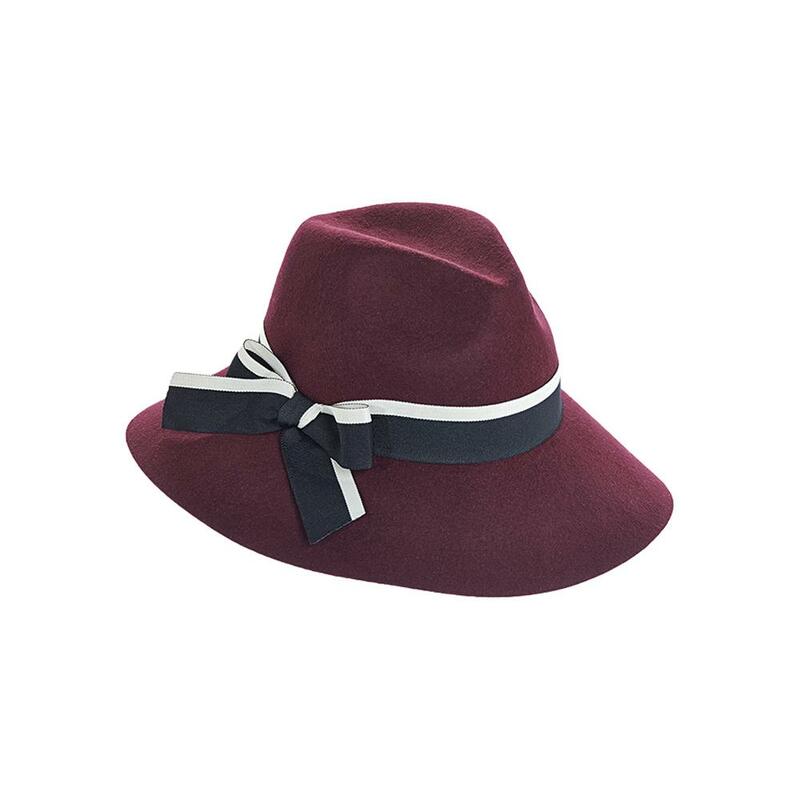 Hat Band: The decorative strip of material encircling a hat, positioned above the brim; a common feature most often in the form of a ribbon, leather strip, or braided cord. Decoration: Any embellishment featured on the hat, most often along the hat band; examples include feathers, tassels, beads, or buckles. Brim: Think of this as the hat's ledge, which protrudes from the base of the crown; wider brims offer greater degrees of shade for the face, ears, and neck. Bill: Another word for brim, this is the stiff protruding part at the front of a cap that shields your eyes; also called a visor. Underbrim: The underside of a hat brim. Liner: The interior lining of the hat; an optional feature often made of soft fabrics such as satin, velvet, synthetic mesh, cotton, or silk. 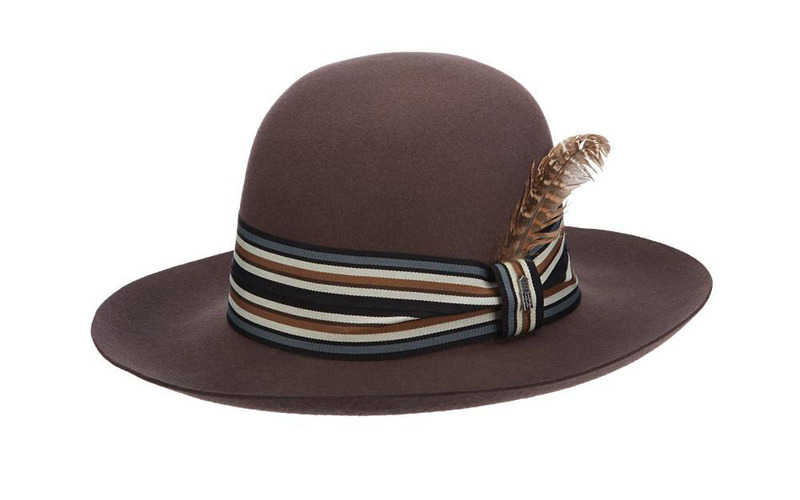 Brim Binding: The trim around a hat’s brim; an optional feature often using materials such as leather, silk, or grosgrain ribbon. Sweatband: Also called the inner band, this is the hat’s interior band that helps ensure a good fit and keeps the hat shape intact; always located just above the hat’s underbrim; often made of leather or synthetic leather-like material. Now that you know what the crown of a hat is, you’ll want to brush up on the most popular crown shapes. Center Crease: Also referred to as a center dent, this type of crown shape features a single crease down the center of the crown. 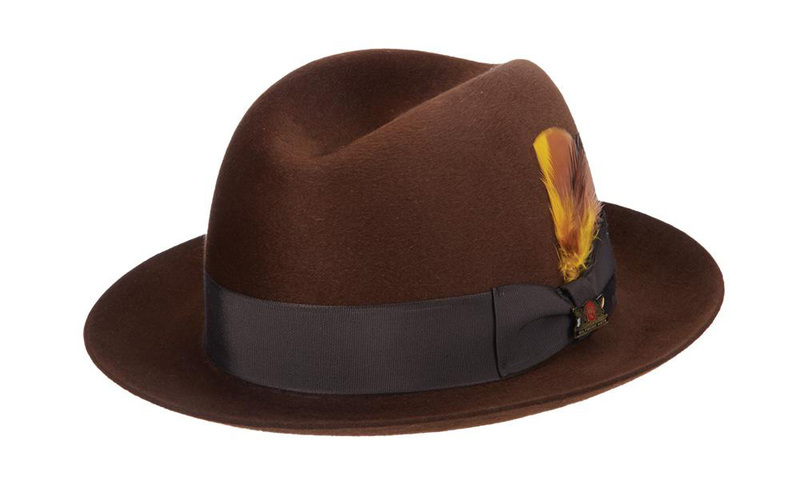 This fur felt fedora from Biltmore is a prime example of this popular and versatile style. Diamond: As the name suggests, a diamond-shaped crown looks exactly as it sounds when viewed from the top. It’s an elegant style with a bit more depth. This floppy felt dress fedora from Brooklyn indeed shines bright like a diamond. Open: Also referred to as a round crown, open crowns don’t feature any creases at all. This type of hat crown is easy to recognize due to its dome-like shape. 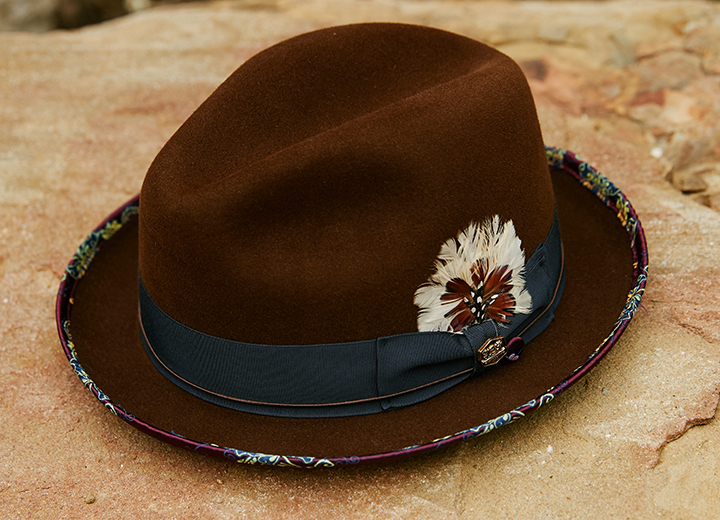 A stylish example is this Maison round-crown wool fedora that will amp up any look day or night. Teardrop: This crown type is marked by a teardrop shape that is more pointed at one end and slightly curved at the other. 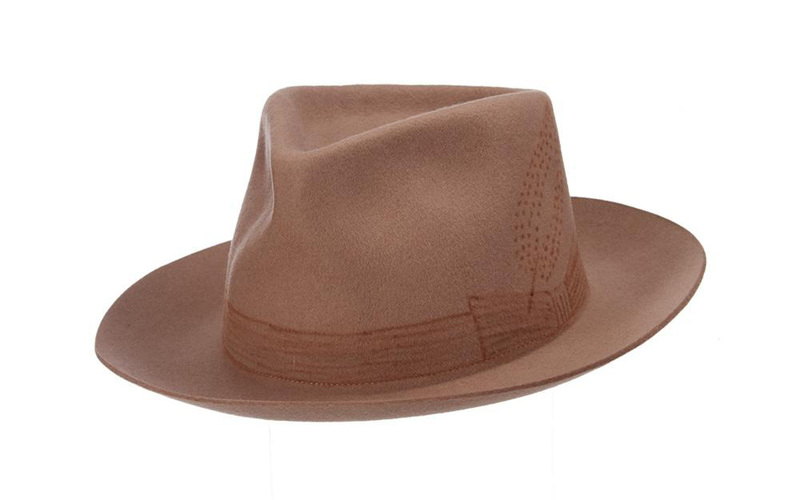 This luxe taupe-colored St. Pierre fedora designed by Brooklyn is an eye-catching take on a teardrop crown. Telescope: Also called a flat crown or flat top, a telescope crown is marked by its simple circular indentation. It’s a defining characteristic of pork pie hats such as this two-tone straw creation designed by Biltmore. When it comes to hats, there are so many fabrics that can be used to make them. Whether it’s wool felt or 100% cotton, the combinations are practically endless. Here are some hat materials that you will most certainly come across. Cotton: Like a comfy cotton shirt or pair of pants, cotton hats are durable, breathable, easy to pack, and usually easily washable. Baseball caps are most often made of cotton or some sort of cotton blend. Cotton hats come in every imaginable color and are usually softer than hats made from other materials. Wool Felt: Sturdy yet soft to the touch, wool felt is isa textile created by pressing wool fibers together and applying heat and moisture to force the fibers to tightly interlock; this creates a bond that cannot be loosened. Wool hats must be handled delicately when cleaning, so check our wool hat cleaning guide. Wool felt fedoras are highly popular, especially in the cooler months. Straw: More than just a wheat byproduct for barnyard animals, straw is a versatile material used to make hats. Depending on the type of straw, it will vary in strength, durability, and color. Raffia is a commonly used straw made from the raffia palm; its resilience makes it for good packable and crushable straw hats. Toquilla straw from the toquilla palm is used for Panama hats and originates from Ecuador. 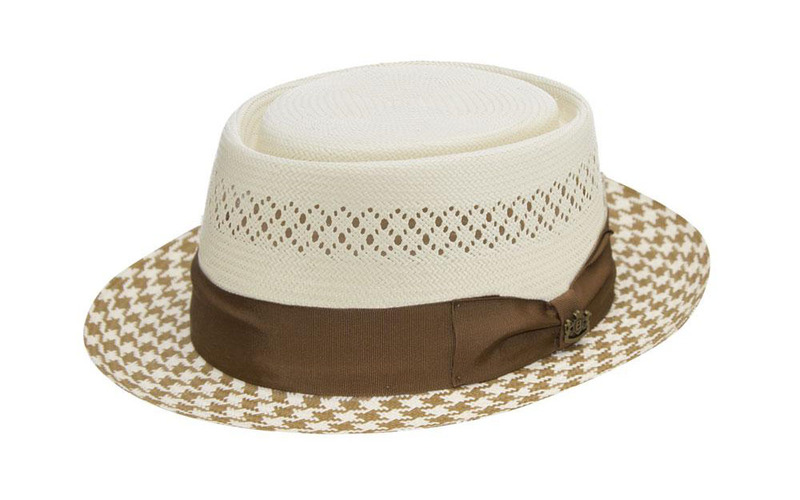 Most straw can be woven into a hat, so pay attention to the tightness of the weave, evenness of color, and pattern. Toyo: Although it’s technically straw, toyo is its own material thanks to its distinct production process. Marked by a shiny, smooth surface, toyo is primarily made in Japan with shellacked rice paper and typically finished with a plastic glaze. Because it’s machine made, toyo is affordable. While it is sturdy, it’s best not to get it wet. This material is commonly used for sun hats and fedoras. Fur Felt: This material iscreated in the same matter as wool felt, but with animal fur. Most fur felt hats come from rabbit although some also come from beaver and mink. Not surprisingly, fur felt is especially soft (you are touching an animal’s fur, after all). Hats made from fur felt are pricier than those made from other materials and are typically considered a luxury item. Synthetics: Unlike natural fibers that come from nature, synthetic materials are man-made fibers that are produced through a chemical process. Synthetic textiles include polyester, nylon, rayon, and acrylic. Often blended with natural fibers such as cotton or silk, synthetic hats such as baseball caps tend to be very durable and machine washable, but they do not breathe as well as natural materials. Now that you know the different parts of a hat, it’s time to decide exactly what sort of hat is best for you. 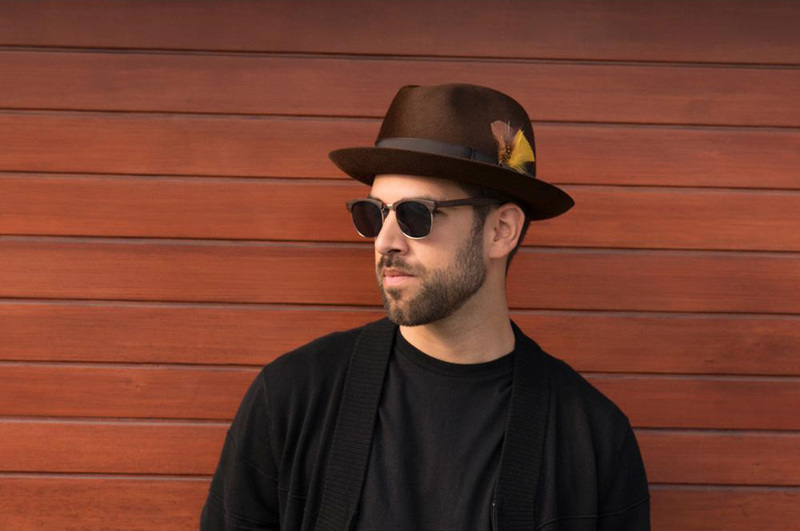 But before you do, check out our hat size guide to make sure you get the right fit and consult our guide on how to find the right hat for your face shape. 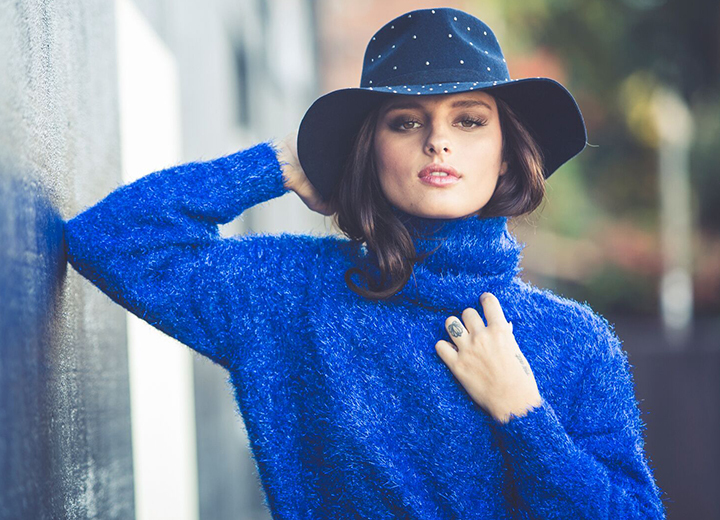 Step up your flair for fashion with these fantastic floppy hat finds. To help you find the easiest and most efficient way to ship a hat, we're taking you through the steps so that both sender and recipient are happy. 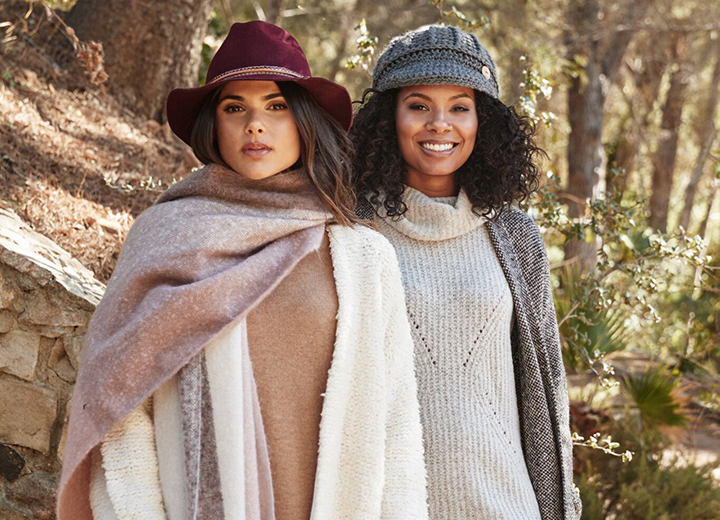 Find out what to look for in a winter hat, plus shop the hottest looks so that even when the weather is drab, you'll always look fab. Designer hats, made the old way, sold the new way. 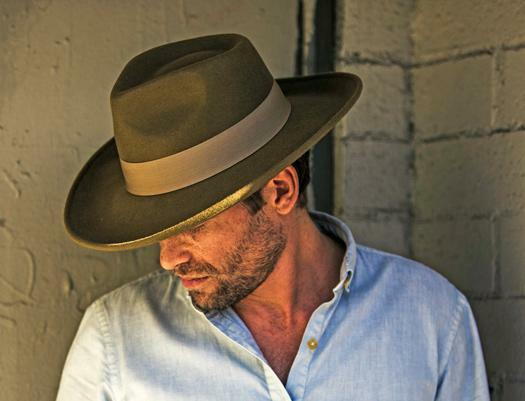 Shop our selection of mens hats, womens hats, fedoras, derby, panama, newsboy, and more. © 2019 Tenth Street Hats. All rights reserved.